The Coco Club would like to welcome the Nite Hawks on Halloween Night, Saturday, October 31. Performing music such as I’ve Got You Under My Skin, It Was Only A Paper Moon, Jump, Jive & Wail as well as other Blues and Swing favorites. Before rock n roll took over popular music in the 1960s, the radios and record players jumped with songs from some of America’s greatest composers from the early swing era of the 1920s through the jazzy pop tunes of the 1950s. 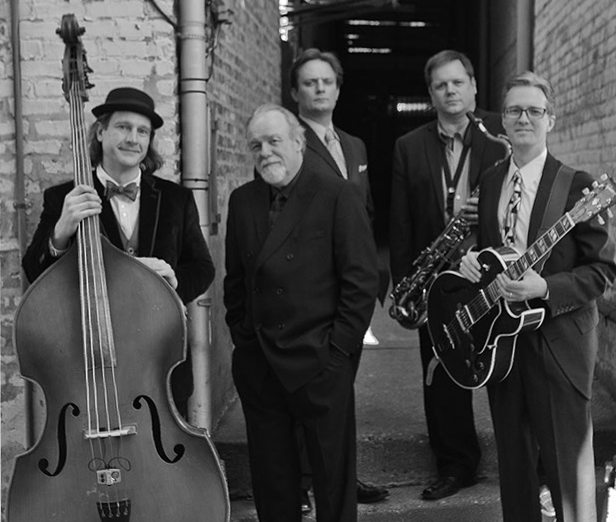 The Nite Hawks are a swinging combo featuring songs we all know from Tin Pan Alley composers like George Gershwin, Cole Porter and Irving Berlin to the blues of Fats Waller, Duke Ellington and Ray Charles. If you’re a fan of these catchy melodies, you’ll be delighted by the Nite Hawks updated arrangements of these timeless classics. With a nod to their musical history, the Nite Hawks bring fresh, contemporary and energetic renditions to songs that are woven into our collective musical consciousness. Treat yourself to a fun evening of great swinging music… c’mon out and see the Nite Hawks LIVE at the Coco Club!! !